There’s a lot I could say about my tour of Fort William, previously known as Anomabo Fort, on Ghana’s central coast. But this photo tells most the story. 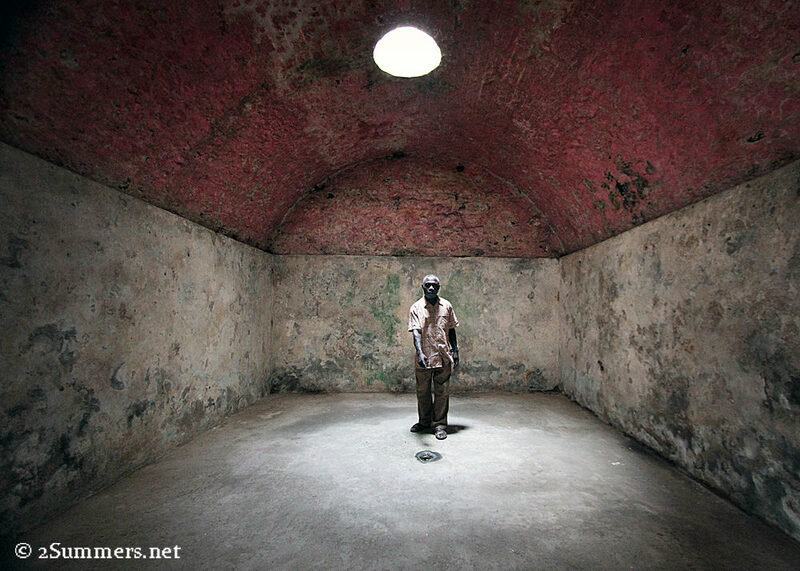 Tour guide Philip Atta-Yawson in a slave dungeon at Fort William. Philip is pointing to the hinge in the floor where people were chained. During the 17th and 18th centuries, Fort William was a “slave castle” — a place where human beings were bought and sold before being dragged onto the beach and loaded into ships bound for America. The fort later became a prison and is now a museum. 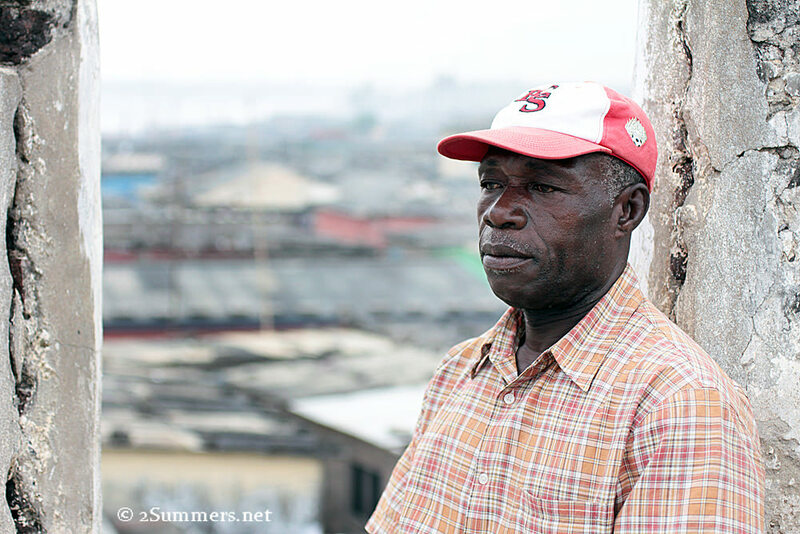 Philip Atta-Yawson is the tour guide at Fort William; he lives inside the fort. I found Philip to be just as fascinating as the fort itself, if not more so. I was impressed by his ability to explain the fort’s brutal history in very few words. Philip lets the dungeons speak for themselves. The inside of the fort is haunting. The view from the roof is literally a breath of fresh air. Anomabo village from the roof of Fort William. 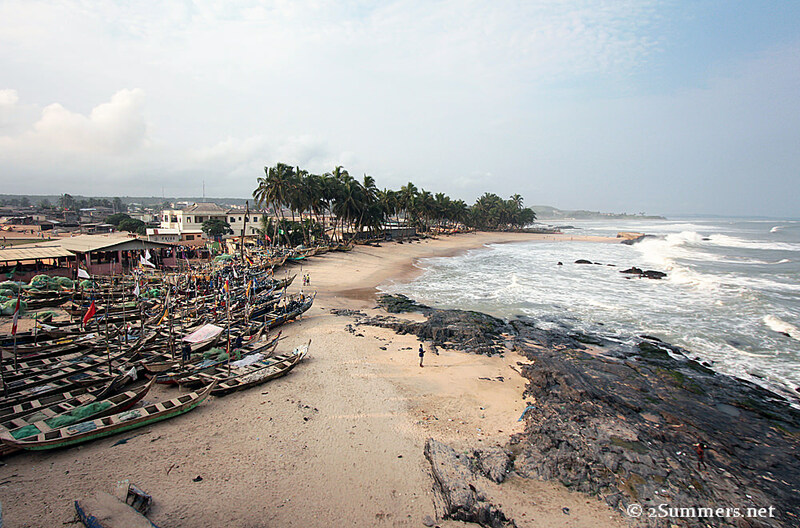 I didn’t visit Elmina Castle or Cape Coast Castle, the two larger and more well known slave castles in the area. After visiting to Fort William, my friend Michelle and I felt that one slave castle tour was enough. And we were pretty sure we wouldn’t find a guide like Philip at either of the other two castles. I know a special tour guide when I see one. More Ghana posts to come.